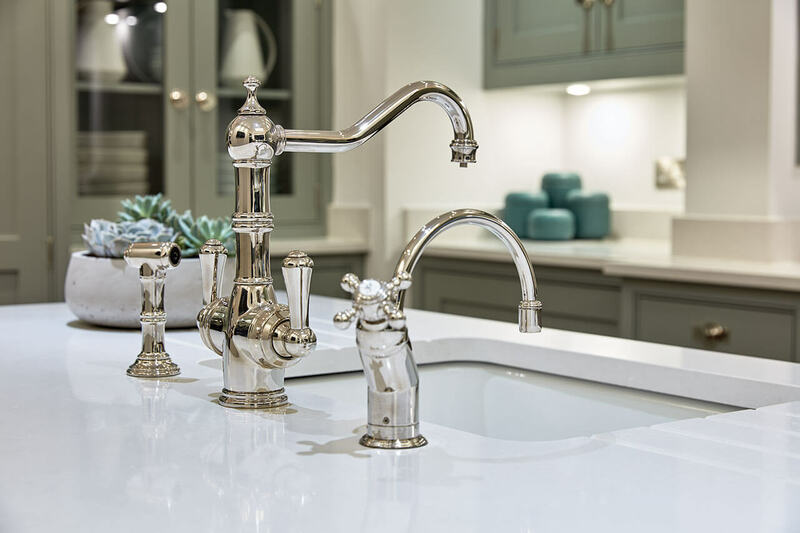 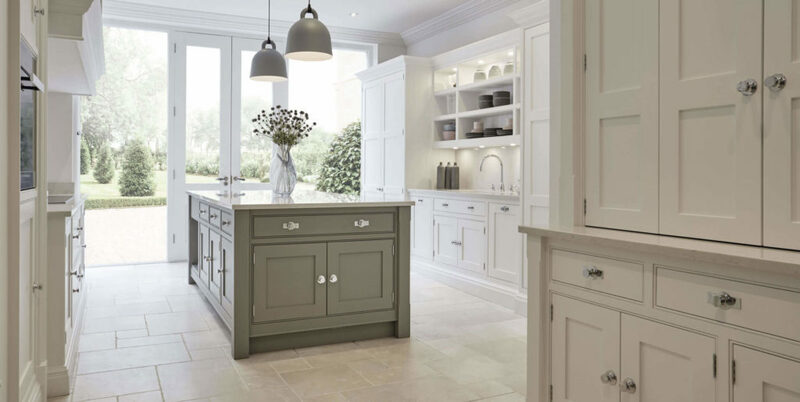 Tom Howley have taken the hand-painted shaker kitchen and re-invented it for the modern home. 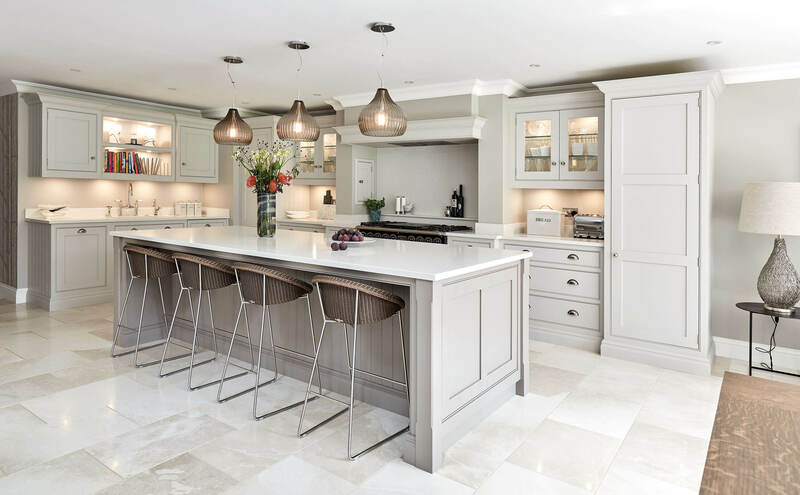 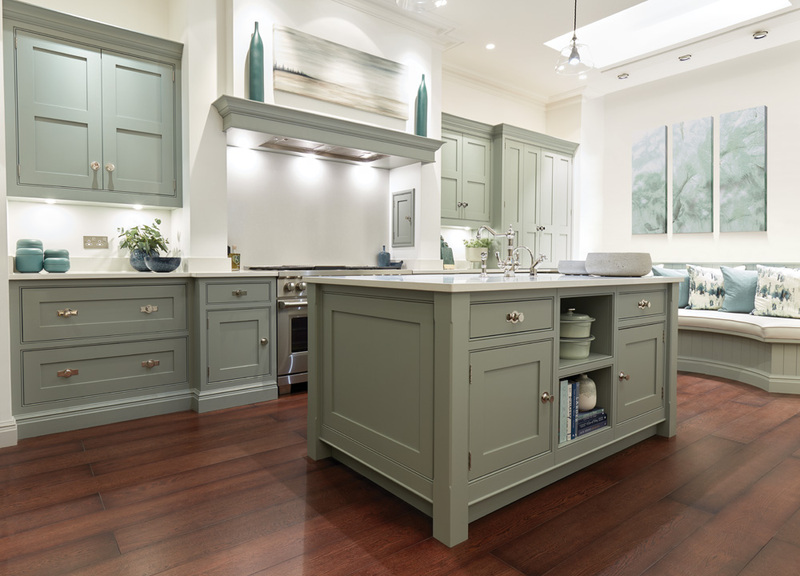 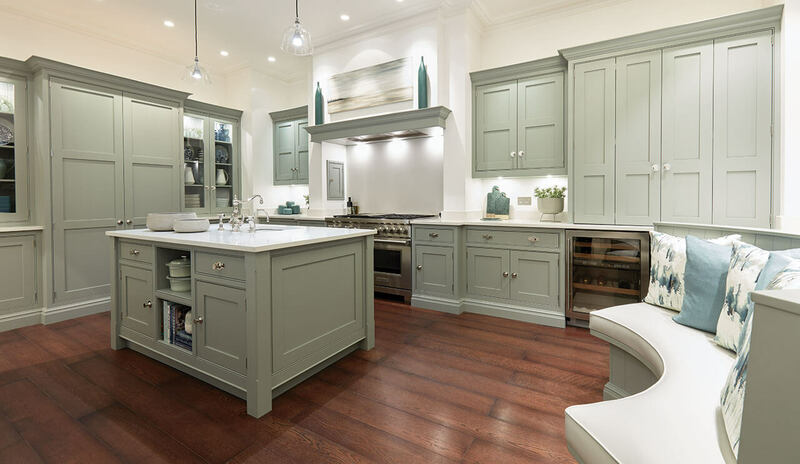 Designed to be different, and built by hand using only the finest materials, this shaker kitchen can be made to suit your exact requirements; from bespoke cabinetry, quartz island and co-ordinating curved seating, to an exclusive selection of paint colours, every inch is testament to Tom Howley’s commitment to quality. 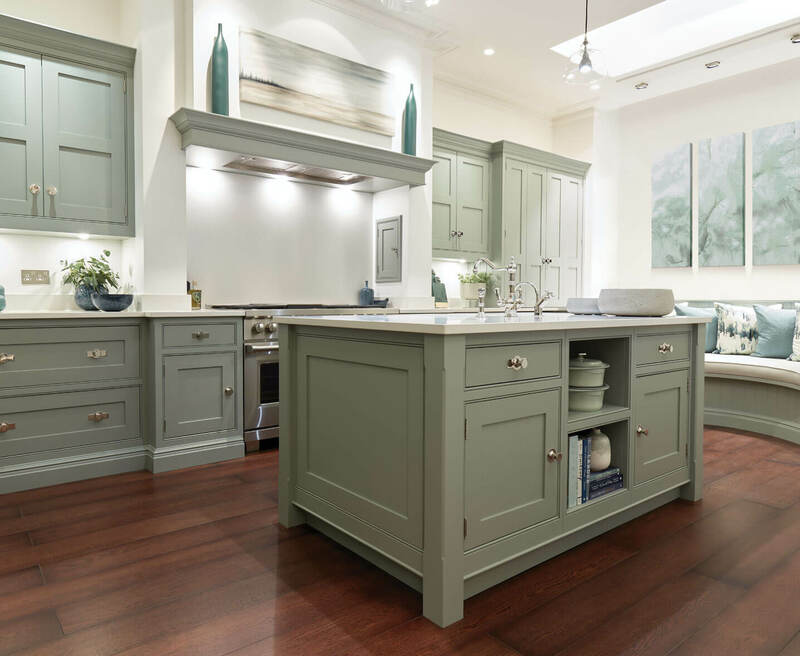 The chimney breast is the perfect space for an expansive range and hob. 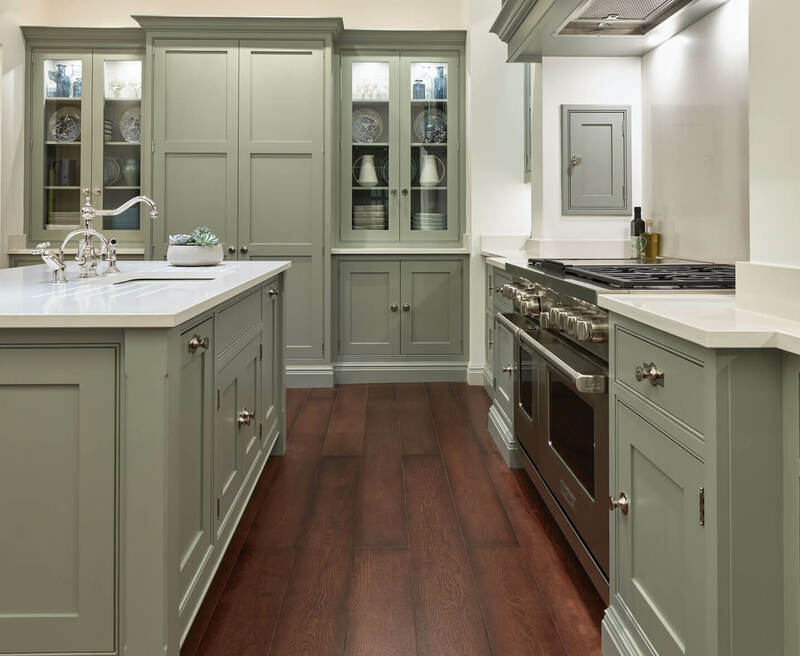 The upper portion houses and disguises a state-of-the art cooker hood. 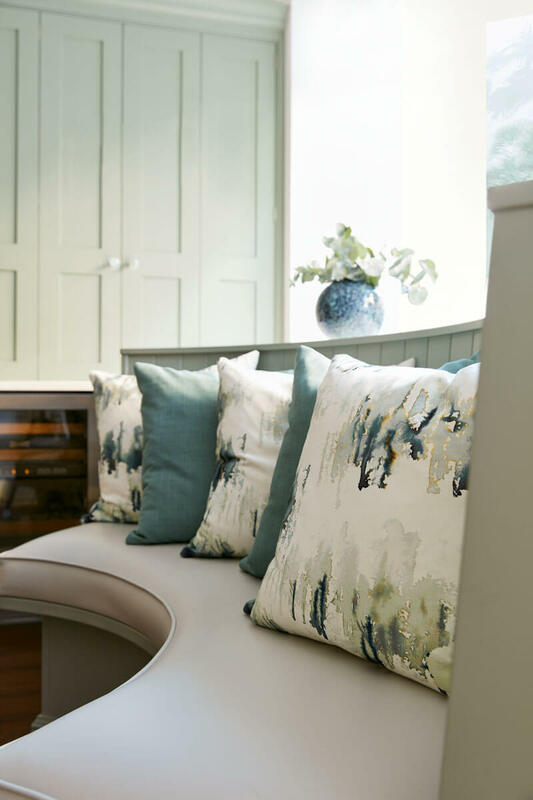 The opening is crowned with a hand-painted mantel shelf to display co-ordinating artwork, giving the kitchen additional elegance and style. 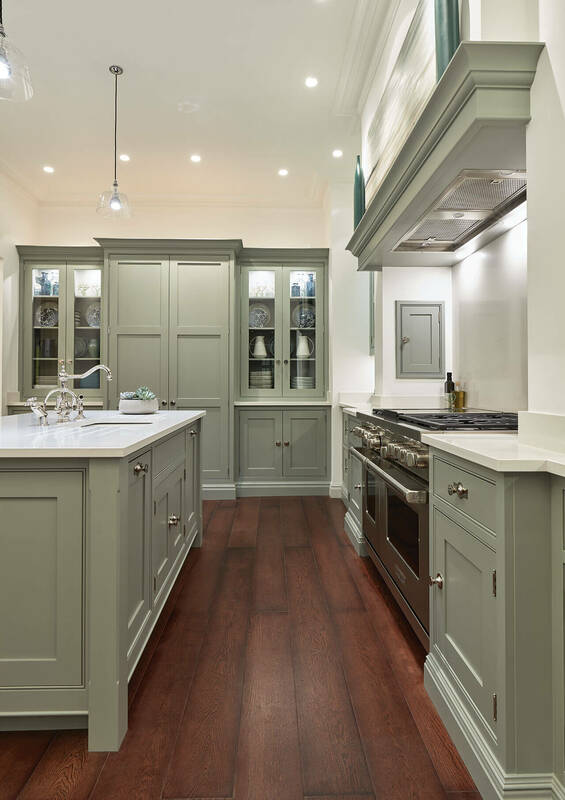 A pantry with bi-fold doors is a contemporary solution that also saves space when you open the doors. 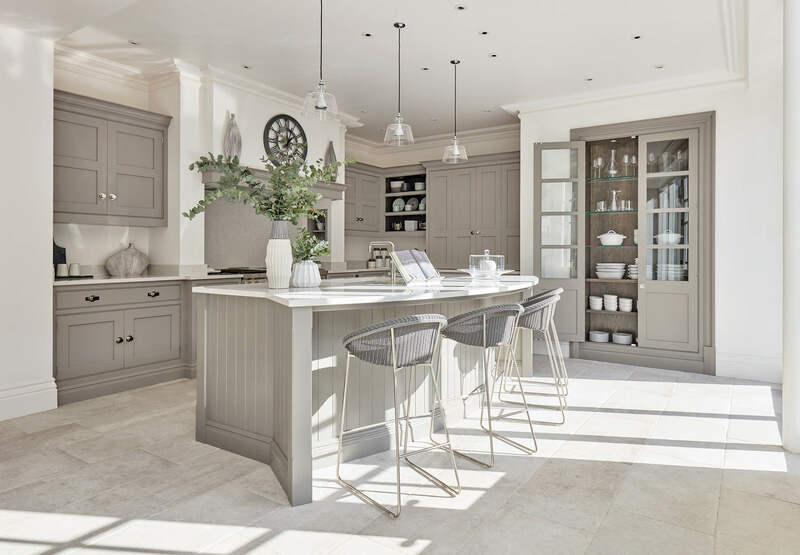 Tom Howley can design bi-fold doors on cabinets housing everything from your kitchen essentials and crockery to appliances such as a Miele coffee machine or a bespoke drinks pantry. 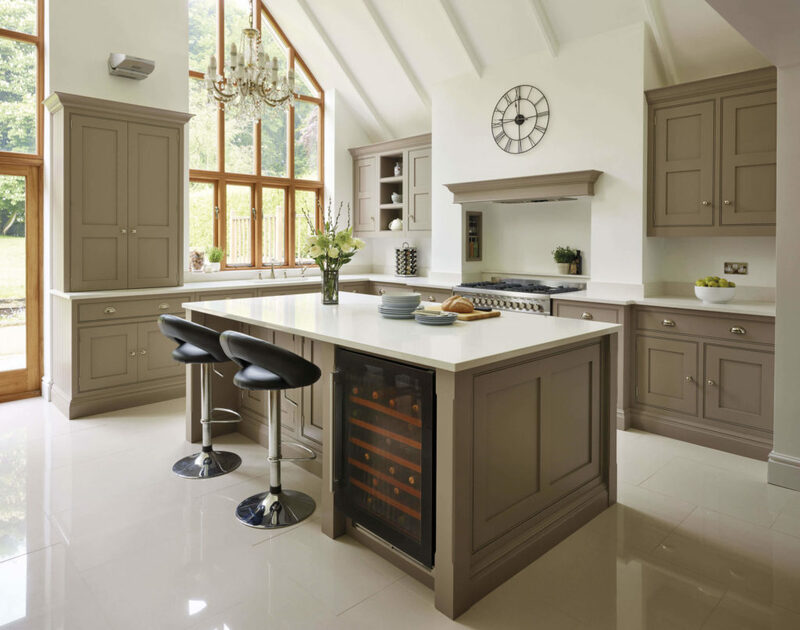 The shaker kitchen is a design classic that moves with the times. 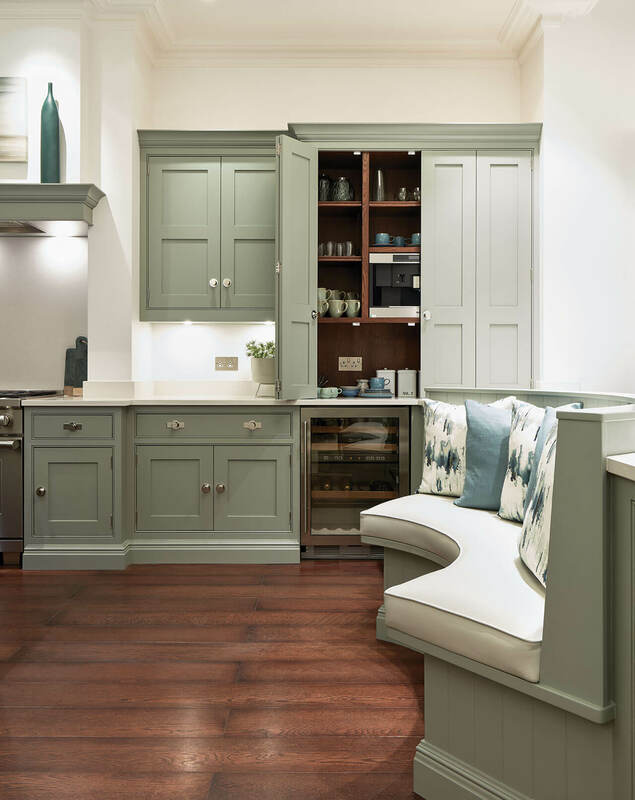 No two interpretations are the same and even small awkward spaces can be given a beautifully practical use. 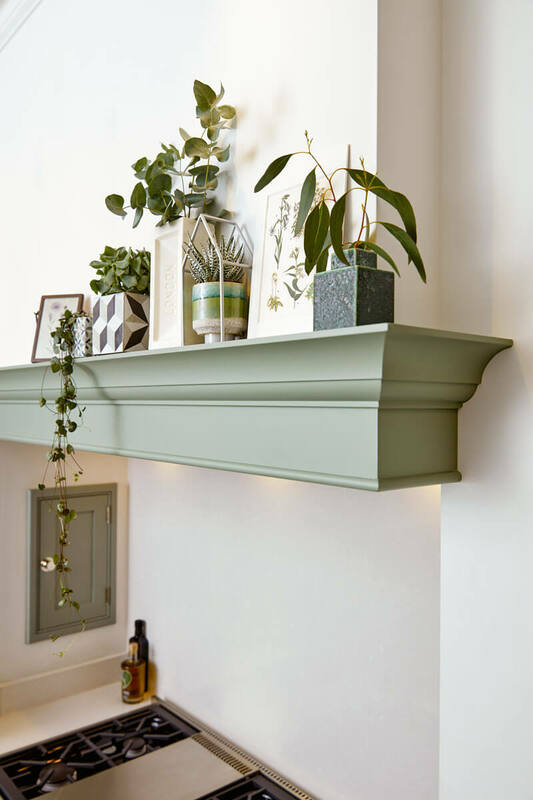 I love the recessed cupboard built into the wall of the chimney breast – it’s both useful and quirky making it a typically shaker feature.